And we’re off!! It’s day 1 of the Daniel Fast. It’s my 2nd time doing it. Last year the fast was sooo good for me. I actually wrote a Psalm, I think I’ll post it here eventually. Anyway, my whole family is joining me this year, some are doing it for health some for spiritual reasons, some just for support. Today’s breakfast was quinoa oatmeal. I got the recipe from the Thug Kitchen vegan cookbook. This book ain’t for the faint of heart, it’s riddled with profanity, but super hilarious and good recipes. 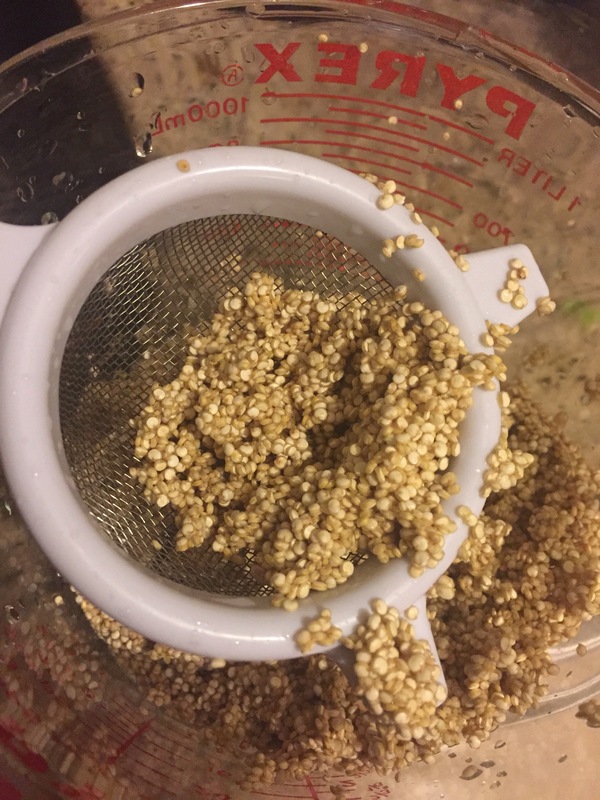 I’ve never made quinoa ever, I opened the bag it kind of smelled like grass or dirt. The recipe said to rinse it, and once I did the weird smell was gone. 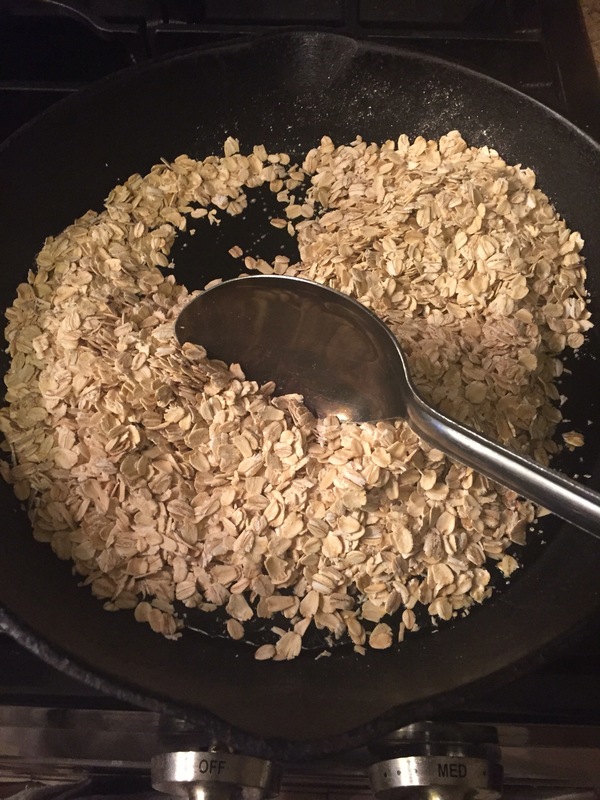 I boiled the water, toasted oats and combined it altogether. After boiling for 25 minutes I added the Almond milk. I think I will top mine with date honey for sweetness. It was so satisfying and super filling. 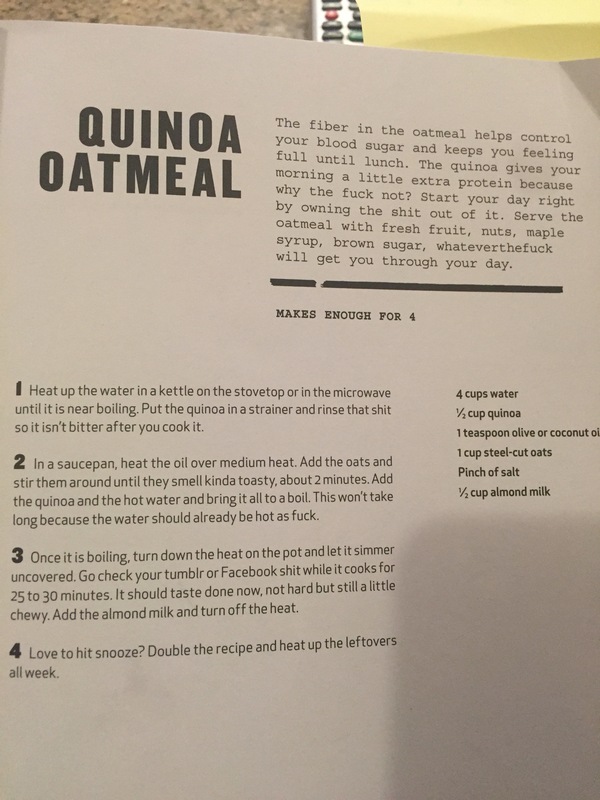 Why would anyone feel the need for such foul language in a RECIPE!? Totally ridiculous! !